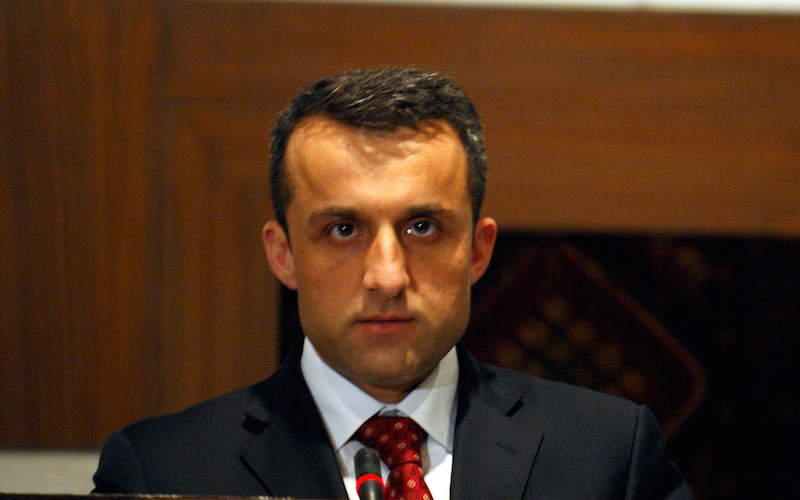 Amrullah Saleh on Saturday resigned from his post as the Acting Minister of Interior. This comes 27 days after he was appointed to the post by President Ashraf Ghani. According to media sources; this decision of Saleh is likely due to the possibility that will join President Ghani’s team for the upcoming presidential elections. Saleh has also worked as the head of the National Directorate of Security. 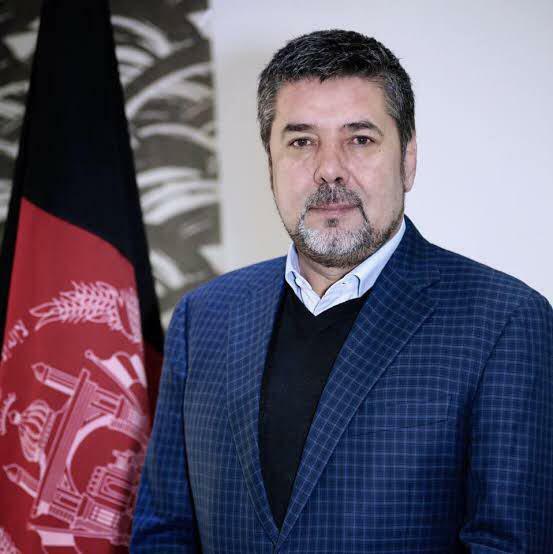 It has been announced that Rahmatullah Nabil has officially registered to run for the presidential elections as a candidate of Mehwar-e-Milli Political Front. His team includes Gen Mudrad Ali Murad as first Vice President and Masouda Jalal as his second Vice President. Nabil is a former National Directorate of Security chief and he has joined the presidential race with Gen Murad, who was the commander of Kabul Garrison and is a former deputy minister of defense. Ms Jalal too, had been a minister of women affairs in the past as well a presidential candidate. 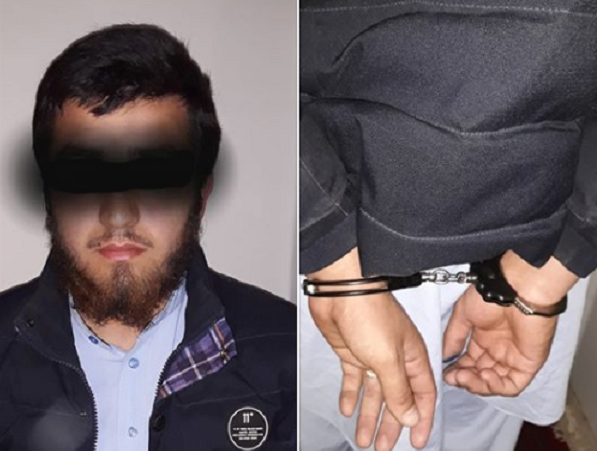 The National Directorate of Security announced on Saturday that three insurgents intending to carry out terror activities were arrested in Baghlan. 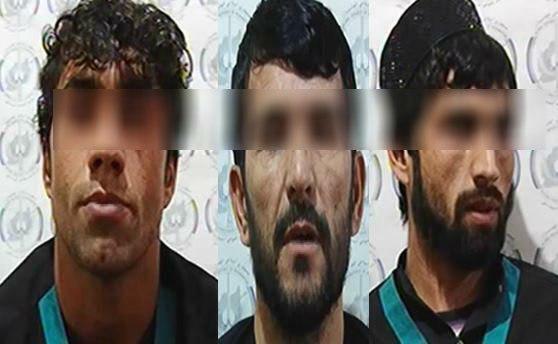 Special Units of of the National Directorate of Security (NDS) have arrested three insurgents who were tasked with terror activities including spotting the government employees, procuring weapons and ammunition for the Taliban group in an operation in Pul-e Khumri, Baghlan, according to the statement. Ministry of defense in a statement announced on Saturday that at least 60 insurgents were killed and dozens were wounded in seven provinces. In the past 24 hours, , Afghan National Defense and Security Forces launched several clearing operations in different parts of the country in order to remove security threats and ensure security. 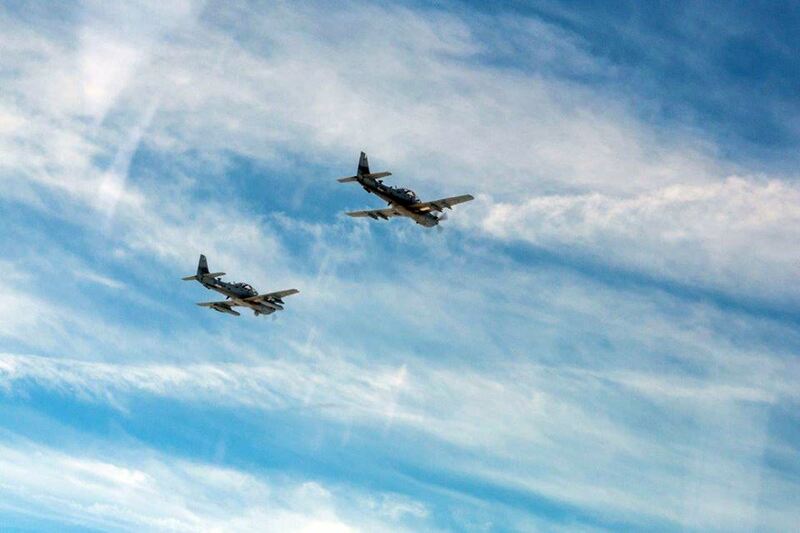 Afghan Air Force also conducted 5 flights supporting Afghan National Army and carried out one airstrike on enemies’ positions. As a result, 60 insurgents were killed and 40 others were wounded, according to the statement. These operations were conducted by the Afghan National Army Forces and with the support of Air forces in Nangarhar, Kapisa, Paktia, Zabul, Badghis, Faryab and Balkh provinces, according to the statement. The meeting of the Jamiat-e-Islami leadership Council was held at the residence of the head of the the party on Saturday morning. During the meeting, the issue of the nomination of the candidate was discussed and evaluated by Jamiat-e-Islami leaders for the 2019 elections, and it was agreed that Dr. Abdullah Abdullah, on behalf of the Jamiat-e-Islami, is the candidate for the presidential election. It was also decided that Jamiat-e-Islami, Jubesh-e-Islami and Wahdat-e-Islami parties will join the race in a single ticket. 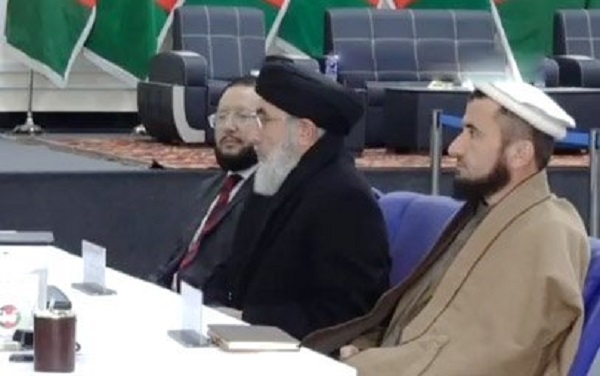 Hizb-e-Islami leader Gulbuddin Hekmatyar has registered to run for the presidential elections of Afghanistan on Saturday. It had been announced that his team will include Dr Fazl al-Hadi Wazin as first vice president and Qazi Hafiz al-Rahman Naqi as second vice president. Hekmatyar has served twice as the prime minister in the 1990s. The motto of Hekmatyar’s run, according to his son’s social media posts is: Restoration of peace and security throughout the country, transparency of customs and tax collection, adoption of laws with regard to religious rules, self-sufficiency of the country using domestic resources, and effective use and management of existing domestic resources such as mines and state-owned enterprises. Local officials said on Saturday that a prominent Taliban member was arrested in Faryab province by the police. Qari Gul Agha, 20, has been operating in insurgents ranks in Garziwan, Belcheragh and Pashtun Kot districts under the command of the Taliban shadow district governor Maulawi Shoaib for the Garziwan district since six months, according to the spokesman for the Faryab police. This member of the Taliban group was arrested by the Faryab police on Friday evening when entering the city of Maimana from the city’s belt entrance. 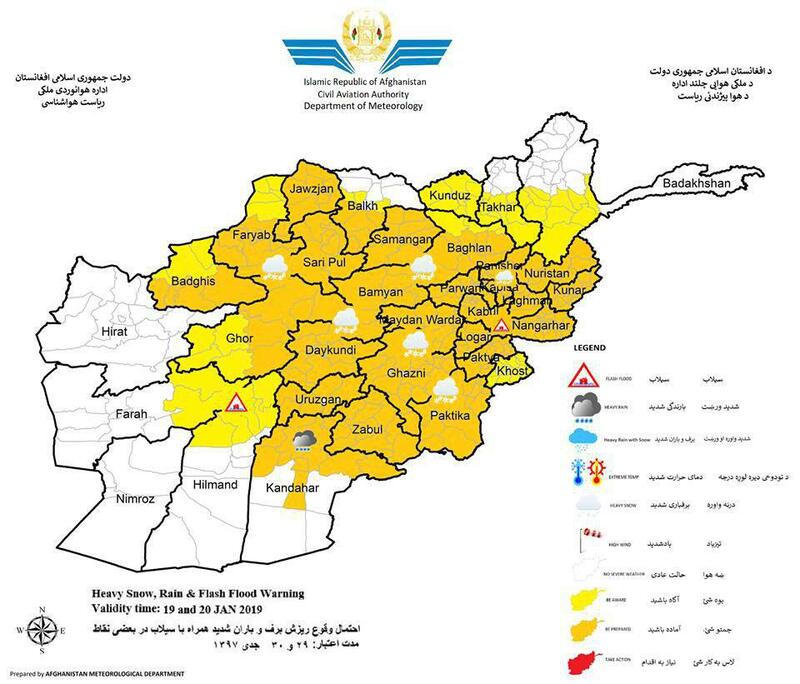 Kunar, Nuristan, Panjshir, Laghman, Kapisa, Parwan, Kabul, Wardak, Bamyan, Ghazni, Daykundi, Urozgan, Ghor, Nangarhar, Logar, Khost, Pakteya, Paktika, Zabul, Baghlan, Kunduz, Samangan, Sar-e-pul, Jawzjan, Faryab, Badghis and some part of Badakhshan, Takhar, Balkh, Kandahar, Hilmand ,Farah provinces including Salangs are vulnerable forecasted. 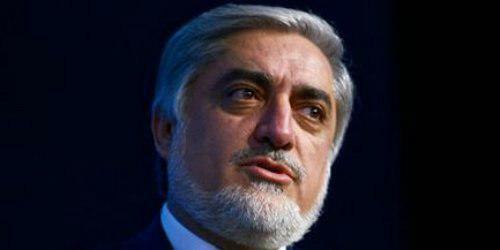 Wali Masoud announced on Saturday about his candidacy for the presidential election. 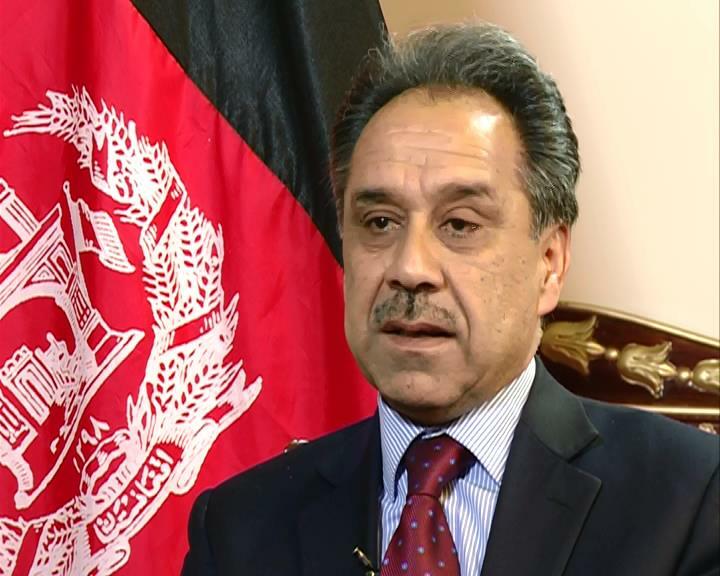 Ahmad Wali Masoud says the Wifaq-e-Milli Elecoral ticket is going to officially register to the Independent Election Commission (IEC) today. Masoud’s vice presidents are Faridah Mohmand, the former Minister of Higher Education of Afghanistan, and Abdul Latif Nazari, one of the founders of the private university of Gharjistan, according to him. Ministry of defense in a statement on Saturday informed that at least 48 insurgents have been killed in Badghis province. 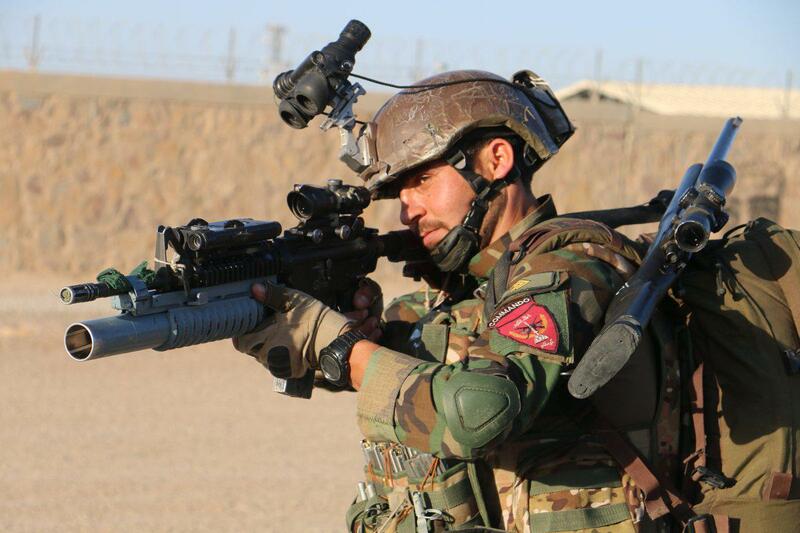 As a result of a clearing operation by ANA commando forces in the Abkamari district of Badakhis province, 48 insurgents were killed and 28 were wounded, according to the statement. The statement also added that 19 vehicles were destroyed, and 2 mines were discovered and defused during the operation. US Defense Department said on Friday that a U.S. Army Ranger died from gunshot wounds he sustained during combat operations in Afghanistan this past Saturday. U.S. Army Sergeant Cameron A. Meddock, 26, of Spearman, Texas, died on Thursday at Landstuhl Regional Medical Center in Germany as a result of wounds sustained from small arms fire. Meddock was medically evacuated to the medical center to undergo surgery but succumbed to his injuries while surrounded by his family. Meddock, a U.S. Army Ranger and fire team leader with Company A, 2nd Battalion, 75th Ranger Regiment based at Joint Base Lewis-McChord, Washington, was on a reconnaissance mission under the cover of darkness in the northwest province of Badghis when a sniper shot him in the head while his team approached a building. It was his second deployment to Afghanistan; his wife is expecting their first child, a boy, in May. “Sergeant Cameron Meddock is one of America’s precious Sons. 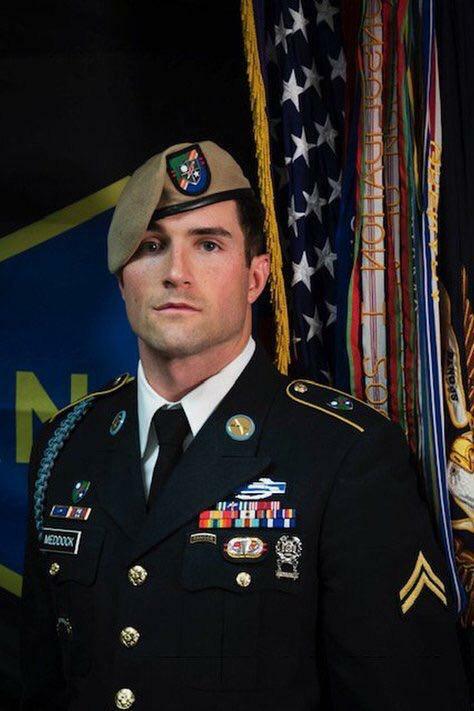 The entire Nation should strive to emulate the Warrior, Patriot, and Husband that Cameron was,” said Colonel Brandon Tegtmeier, commander of 75th Ranger Regiment in a press statement to Newsweek. Taliban spokesman Zabihullah Mujahid in a twitter post has rejected the rumors about Islamabad hosting a meeting between Taliban and US officials. 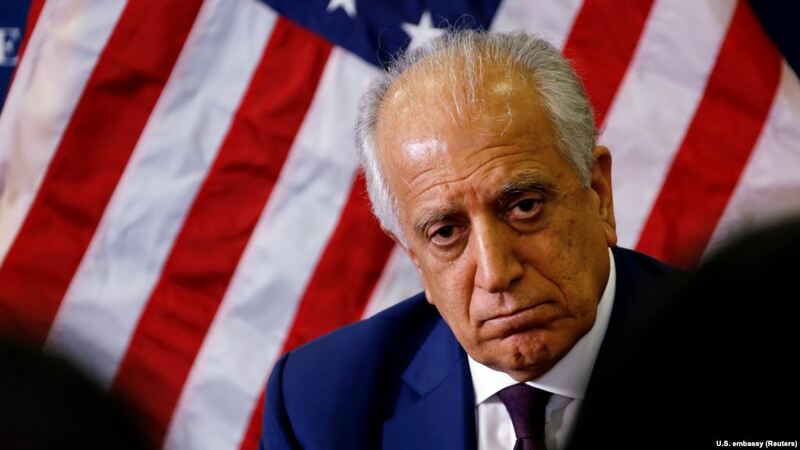 Earlier, Pakistani media was claiming that on US envoy Zalmay Khalilzad’s visit to Islamabad, it might have been planned that Islamabad host a Taliban-US meeting.